Bangkok – Bangkok Airways Public Company Limited, led by Mr. Varong Israsena Na Ayudhya, Vice President for Sales (Center), presented gifts to the 2,000th student that took part in its “Education Open House” program at Suvarnabhumi Airport. The “Bangkok Airways Open House” project is organized with an aim to provide practical knowledge and inspire students who have interest in working in aviation industry. 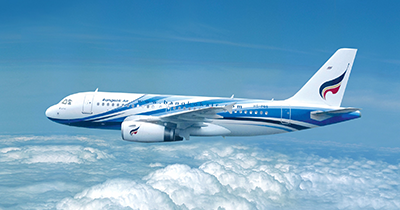 Participants are given an opportunity to access to actual sites of Bangkok Airways’ operations and learn from the airline’s professionals, including; in-flight operations, ground services and ticketing. “Bangkok Airways Open House” has been well received since its inception in 2016 by leading universities with tourism, hospitality and airline business majors.